Take a drive along all major highways and you are sure to encounter rows after rows of billboards. You will also run into outdoor ads at sporting events, concerts, train stations, and just about anywhere where a lot of people congregate. Outdoor advertising is huge in physical scale and if creative enough, it can make an impact to a local and targeted audience. However, does this impact match the size of its physical dimension and its cost? Let’s take a look at some limitations of outdoor advertising. Unless you talk to every single customer who buys from you, how will you ever know if they were directed to your business via your outdoor advertising versus other channels. If you have a spike in sales right after the ad is installed, it may be because your billboard is getting noticed. Unless the sales increase stays consistent for a long period of time, it may well have been something else that caused the spike. You cannot be 100% sure if you also run similar ad campaigns on other channels. On the other hand, with online advertising, you get access to detailed view, click and conversion reports from the online ad server that shows exactly how each ad is performing. Depending on where you place ads online, you can reach a lot of people for a small investment. The same is not true for a billboard ad on a busy and prime location, which could well stretch your marketing dollars to the max or too expensive to even consider. Therefore, an outdoor ad needs to hit in a big way if you are to see any sort of ROI, which is also harder to measure as previously discussed. With outdoor advertising, high visibility is a must and so there is not a lot of room for subtlety or details. 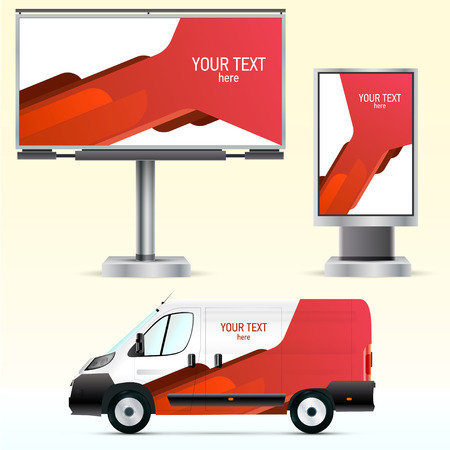 Any text or images that you use on your ad must be big and bold so that they can easily be seen by people passing by. It can be tough to get both creative and effective with an outdoor ad, which also means that your ad might be viewed as bland or boring, which is never a good thing. Outdoor ads are all about getting your name out to the masses. They are seldom considered a good way to create new leads and drive immediate sales. Given the amount of money that you may need to spend to get noticed with outdoor advertising, it may well be that building your brand needs to be done in a different way, especially if you are on a limited budget. Location is everything when it comes to outdoor advertising because placing a billboard at the wrong spot can prove to be an expensive mistake. Even if the location seems great, is it going to be in a spot where you are able to reach your target audience, and how can you really be sure? Vandalism is also a serious issue. If your ad triggers the wrong emotion, generates controversy, or simply is installed in a bad area, it can be spray-painted, written over or tore down.